To this day, I still fear turning on the light switch in my mother's kitchen. During the day, our dining room lurks on that wall's other side. At night, ghouls forever embedded in my mind after three decades of horror films still lurk behind it. But the main reason for this discomfort is The Sentinel released in 1977. I probably viewed The Sentinel at an age when I shouldn't have. It scared the hell out of me at nine-years-old and has the same chilling effect 25 years later. To this day, I can still see that ghoul emerging from the shadows. This one too often slips under the radar. Directed by Michael Winner, who also directed the Death Wish series starring Charles Bronson and the 1978 remake of The Big Sleep starring Robert Mitchum, The Sentinel played the bridesmaid to international Satanic thrillers such as The Exorcist, released four years earlier, and The Omen, one year earlier. But it shouldn't have. This film truly is a "winner" and boasts an impressive cast including Burgess Meredith, Ava Gardner, John Carradine, and Christopher Walken. The film, edited by Winner under the pseudonym Arnold Crust, sticks with viewers because of its crisp cinematography, taut screenplay, and star-studded cast. New York fashion model Alison Parker and her attorney boyfriend Michael Lerman are young lovers in New York City seeking to settle down. However, the reluctant, independent Parker wants her own apartment, and she eventually settles on a building inhabited by a surreal cast of characters, most notably a blind priest who stares at her from the building's top floor. Parker begins experiencing neck pains and insomnia and has flashbacks of her suicide attempts and recently deceased father, whose strange behavior a few years back prompted her depression. However, her father is not exactly dead, and when other odd tenants surface, Parker soon realizes this apartment is not exactly normal. Trouble erupts when Parker and Lerman begin to investigate the building's quirky inhabitants. When the dust settles, Parker becomes a permanent resident of the building, but not the kind she thought. The film is a testament to the power of visual images. Early in the film, shots of New York City skylines, the East River, and various neighborhoods are a testimonial to the allure of urban cinematography. A pan across the Twin Towers adds another haunting layer for the modern viewer. As the film progresses, Winner does a nice job of internalizing scenes by moving from the city landscape to the interior architecture of the old, Brownstone apartment Parker calls home. Space is once again redefined, only this time, instead of drawing viewers into the film, the shots inside the apartment draw viewers closer to their fears by creating a mounting sense of claustrophobia. 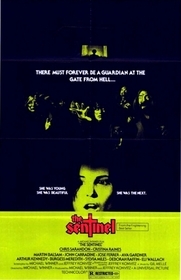 The Sentinel is also an excellent example of horror films serving as a metaphor for women's struggle for equal rights. Parker and Lerman's demise begins with her need for independence. If she would simply acquiesce to Lerman's marital calls, trouble would have been avoided. But not this damsel. She wants liberation, but her need for independence and free-spirited inquisitiveness open the door for trouble. However, unlike many horror flicks that find the victimized damsel transformed into a rugged heroine, Parker is not so lucky. Equally effective in illustrating this point are the photographs representing Parker's work as a model. Whether they are framed through a camera lens or on the cover of a fashion magazine, these shots are excellent at capturing the "male gaze," which many feminists have argued objectify women in damaging ways. They also convey that Parker is, in a sense, being framed. An innovative and daring screenplay that produces some of the more memorable minor characters of 1970s horror films highlights this mounting sense of creepiness and psychological claustrophobia. Meredith plays Parker's neighbor, who at first seems cordial, particularly with a black cat cradled in his arm and a yellow parakeet perched on his shoulder. But the tension caused by the two undermines his friendliness. Parker's other neighbors are introduced as sisters, although upon her first meeting with them, Parker soon learns they are lesbian lovers. Parkers begins to sense something odd is unfolding when one of the sisters masturbates before her eyes. The images of the blind priest, with his milky white eyes, are vivid both in choke shots and from a distance as he lurks in the window frame ominously gazing at the city skyline. But the most surreal cast of characters appears en masse toward the end of the film. The movie is worth viewing for this footage alone. The makeup work used to dramatize their horrific features would make any Hollywood makeup artist drool. Winner also does an excellent job at weaving two popular motifs of the genre together into one story: the satanic cult theme and the haunted house theme. But The Sentinel's greatest surprise is its cast. Meredith steals the show with his quirky urbanite personality, which is thrown out the window when we learn about his other role. Gardner, who plays the real estate agent who helps Parker find the apartment, turns in an okay performance that rests more on her persona than her acting. As the blind priest, Carradine is flat out bizarre and does a wonderful job at portraying a zombie-like trance. Nobody ever stared more ominously than he does is this film. And although Walken plays a minor role, his ability to value silence is admirable. But beyond this powerful team, the casting transcends ordinary campy horror fare with its cameo appearances. A young Jeff Goldblum plays the photographer assigned to photograph Parker early in the film. Tom Berenger appears briefly at the end as a husband who considers renting the apartment once it becomes available again. Eli Wallach plays Walken's detective sidekick, Jerry Orbach of "Law & Order" fame plays a pushy advertising director, and Beverly D'Angelo of the National Lampoon Vacation series plays one of the nymphomaniac lesbians. All of these familiar faces give The Sentinel a credibility that one wouldn't expect from a relatively obscure horror film. One wonders why this film didn't find a sequel. But make no mistake about it - from a visual, narrative, and suspenseful perspective, The Sentinel is worth your 92 minutes. Submitted by Anonymous (not verified) on Tue, 2009-09-01 23:33. Makeup wasn't used to create that cluster of demons from hell, aty the end of the film. The director used real extraordinary people, just as Tod Browning's Freaks diod in the 1930's. I vaguely knew one of thyem His name is or was Lou. He was the demon with his facial features all askew. He used to hang out at a donut shop on Avenue U in Brooklyn, near the elevated train. It seems someone from the film saw him walking on the street and eagerly offered him the film appearance. Lou never talked much, had a friend thast was equally deformed, and spent much of his time sipping coffee. Submitted by RayOfMoonshine (not verified) on Fri, 2010-07-09 09:26. Surprised he didn't mention the weakest part of the movie, Chris Sarandon. He was terrible. He just wasn't believable, seemed like he was just reading the lines. Other than that, one of my all time favorites! Submitted by Lady Lazarus (not verified) on Sun, 2010-12-26 17:10. Watched this film last night, in part due to your review/recommendation. Yes, definitely a worthwhile horror film w/ a surprisingly cast. At first, I thought the film was a poor man's "Rosemary's Baby" as the themes and mood are similar to the Polanksi film. As the film progressed, though, the collection of grotesque characters that appear give this film it's own quality of creepiness. Thanks for your review. Submitted by PaulB on Fri, 2011-02-18 07:21. I read the novel before I saw the movie. To be honest, I enjoyed the book much more. It’s been probably three decades since I’ve seen the film, but your review has sparked my interest. I’m tempted to give this film another chance. Submitted by nk (not verified) on Fri, 2011-03-25 08:57. This is one of the most wicked concepts in horror movie history. It really kicks in at the end of the movie. There is terror in looking back at some of the scenes that occured before we knew what was really going on. Pure demons, manifesting themselves as alive; Satanic forces altering the furniture, and the look of the apartments to decieve the main character. This movie pays off, and will grab you buy the balls atleast 3 or 4 times upon first viewing. Enough to make me yell out loud a couple of times, atleast. Advice to kids...dont watch this with your parents in the room. Submitted by Anonymous (not verified) on Tue, 2012-04-03 15:05. Loved reading this. I just saw the film for the first time after years of wanting to view it. Wasn't disappointed! It's a new favourite of mine. Submitted by Helen (not verified) on Fri, 2012-07-27 08:39. 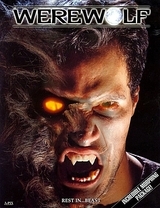 I saw this movie at 18, scared the devil out of me. By far my favorite horror film. 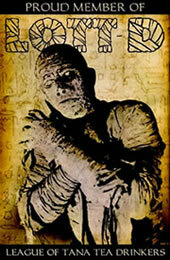 If you can find a complete version you should try the Changling (1980), another very good horror. Submitted by Rachel (not verified) on Mon, 2014-03-03 19:46. Amazing movie. I am a huge fan of old school horror; when the dependence of computer animated ghouls didn't exist. I love everything about this movie and I highly recommend it for any horror fans. And I must agree that the shadowy figure of Parker's father is one of the most haunting visions of the entire film. Definitely an easy to relate to, believable, hope-it-doesn't-happen-to-me flick. Wish the crap they put out today and call it horror came even halfway close to what they made in the 70's and 80's.